Cucumis is a genus of twining, tendril-bearing plants in the Cucurbitaceae family which includes the cucumber, cantaloupe and honeydew melon as well as the sugar and winter melon. The images below of Cucumis Staminate Flowers were captured using the Richter Optica U2 biological microscope along with a 3 megapixel microscope camera. 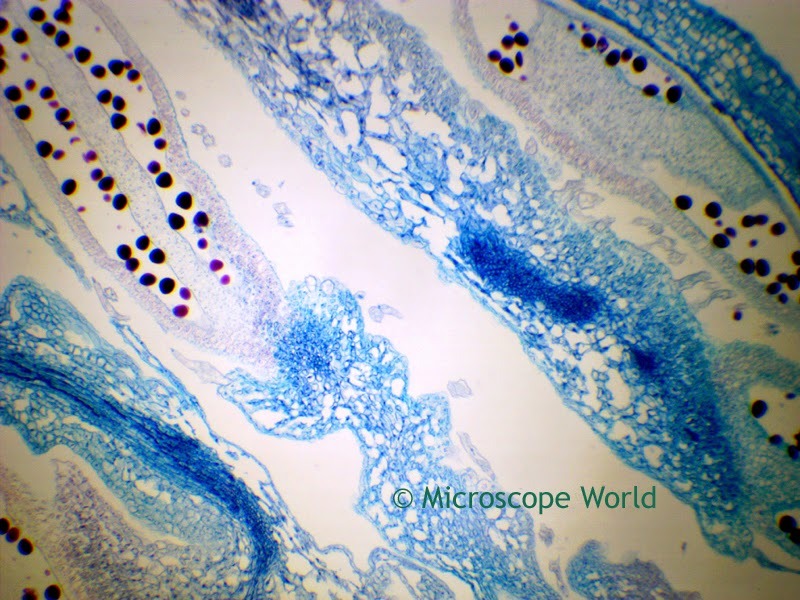 The microscope prepared slide is part of the Fruit & Flower Prepared Slide Kit. 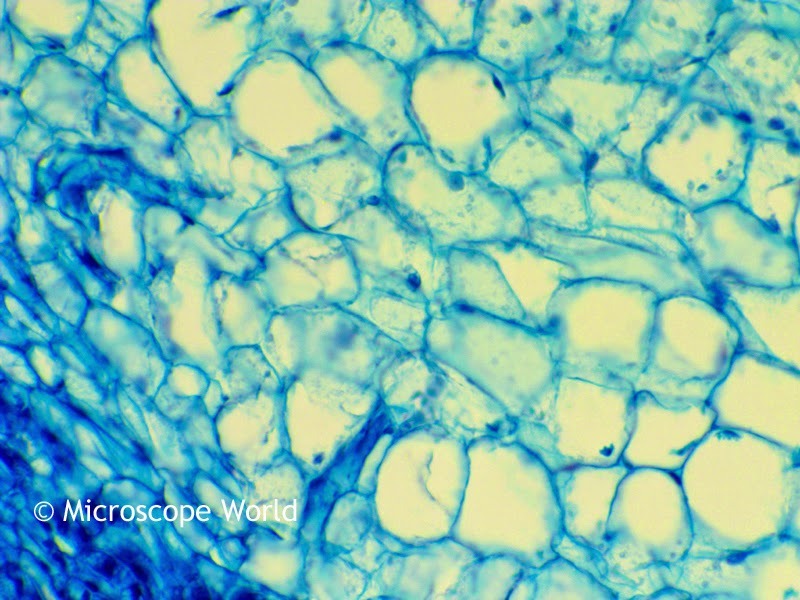 Cucumis Staminate Flower under the microscope at 40x magnification. Cucumis Staminate Flower under the microscope at 100x magnification. 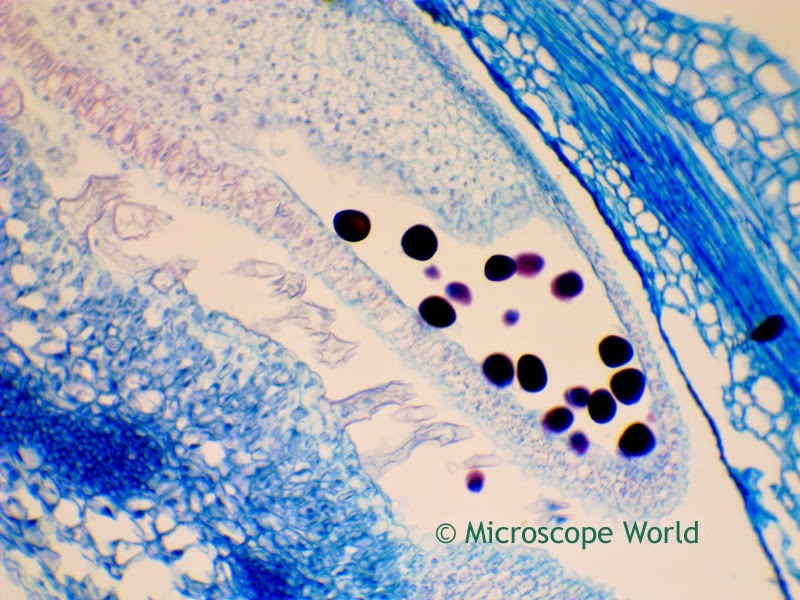 Cucumis Staminate Flower under the microscope at 400x magnification.